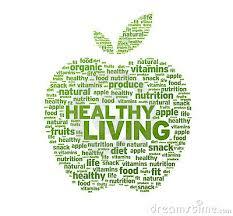 Sleep, Basic Nutrition, Deep Breathing, Sunlight and Hydration – Are you living a healthy Lifestyle? As I outlined in a recent post, the approach to Heilkunst treatment can be likened to the progressive, or ‘graduated’ system of education, from elementary, to high school, to post-secondary education in university or college. These thresholds ensure that a student does not move into a given level of education without first being prepared by completing the requirements of the preceding lower level. Particularly in the context of treating more complex chronic illness (which is typical for more of my patients than not), this understanding is critical in terms of moving a patient logically and surely through various stages of treatment in a safe and effective way. Sleep. At the foundation of the whole treatment system of Heilkunst lies the critical importance of sleep. In particular, it is identified that it is the hours slept before midnight which are some of the most valuable, and which set the rhythm for a proper night’s sleep. There is a basic seasonal rhythm related to the length of daylight, which allows us to have less sleep during the summer, and requires more of us during the winter. Also, the closer one can come to creating their sleep environment as one of 100% darkness, the deeper will be the quality of sleep. Eliminating sources of electromagnetic fields, such as from clock radios or cell phones, also contributes towards this goal. The Basics of Nutrition. A focus on the source and the quality of food, as well as methods of preservation need to be addressed here. At this most rudimentary level, questions of a food’s freshness is the key guiding principle. Locally grown produce doesn’t need to be picked unripe in order to be shipped thousands of miles, for example. Simple cooking and preparation methods, such as light sautéing of vegetables, helps maintain this goal of freshness. Learning how to go grocery shopping in a way which minimizes the content of additives, preservatives, and other factors of food storage which interfere with its nutritional value is an essential skill to learn at this level of the journey. Starting to learn the reality of food and nutrition as something different from the corporate-driven media messages from the “food industry” is part of the curriculum here. The most fundamental food groups include : Water. High quality animal proteins (organic meat, fish, eggs, and unpasteurized dairy). Lots of vegetables, and a moderate amount of fruit. Nuts and seeds. Breathing. This is something which most people don’t even realize they are not doing well. A chronic state of “holding the breath” is often found upon examination of a person’s breathing patterns. A conscious engagement with your breathing at least a few times during the day will help to begin to re-establish this most critical phenomenon. Sunlight. Get as much as you can, in a safe way. During the intense sunlight of the summer, the beginning and end of the day is a safer time for general exposure, although a few minutes during the noon hour can be beneficial, if it can be tolerated. The need for sunscreen is eliminated the healthier a person becomes, and in fact is an important goal to aim for, as sunscreen is ultimately detrimental to our health. Hydration. Last but definitely not least is the critical importance of becoming and staying hydrated. Most people are living in at least a sub-clinical state of dehydration, which produces many symptoms and imbalances. Waiting for the sensation of your mouth to be dry is actually a danger sign that dehydration is occurring, rather than simple thirst. Pure water is required, and it is NOT fruit juices, tea, coffee, or other beverages which are going to increase your level of hydration. Start slowly, and progressively increase your water intake while your cellular metabolism learns to adjust, and actually start to retain the water for necessary cellular functions. Your urine should become a very light straw colour as you become hydrated.